These Picture Frames Are Easy To Load! 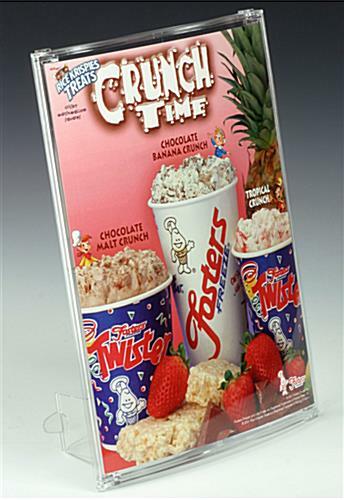 These Picture Frames Are Sturdy Polycarbonate And Display Signs Vertically Or Horizontally! Indestructible Polycarbonate Material- Not Acrylic! 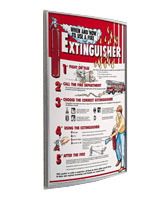 These decorative picture frames are the ideal office signs for heavy-duty use. 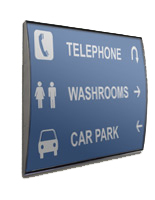 Fabricated in rugged polycarbonate plastic, these sign frames will provide years of service. 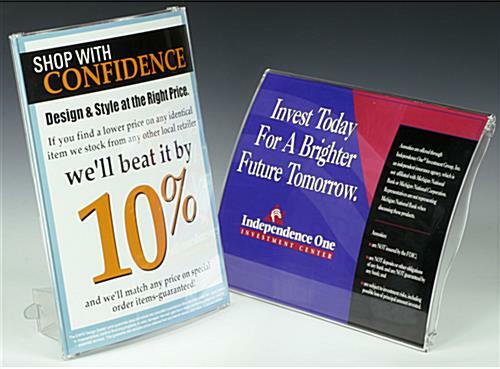 These picture frames (corporate signs or office signs) can also be utilized as stand-alone sign holder. 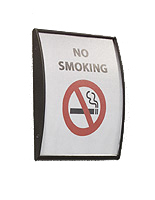 The changeable support attachment, provided with the frame, permits for numerous viewing angles. 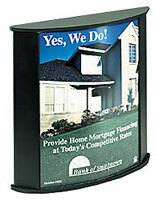 All in all this outstanding display has fantastic features, starting at an extremely reasonable price! 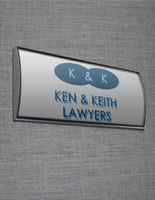 These picture frames or office signs are popular for company signage. 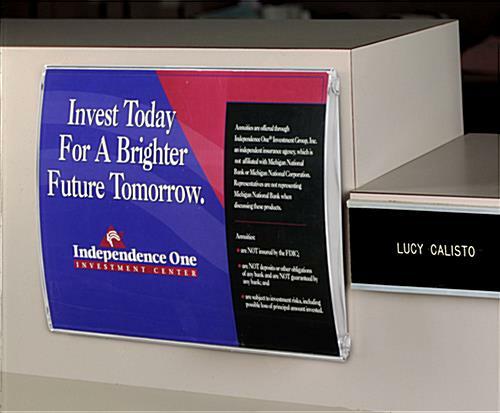 With an appealing curved design, these picture frames add style to your place of business at the small retail or corporate level. 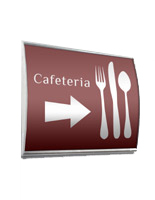 These picture frames, also called wall signs, have a convenient front-loading design. 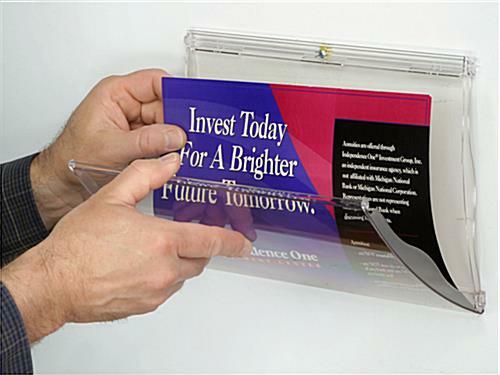 Merely slide in any custom 8-1/2" x 11" insert and snap it closed. 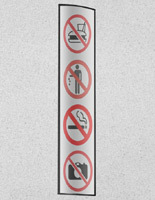 Mount vertically or horizontally. 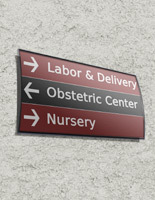 Our curved signage brings a fresh appearance to any interior setting.